I know it’s hard to realize that there’s more to British television than Doctor Who, Sherlock, and Downton Abbey. That there’s a (not so) vast realm of BBC and ITV and E4 just waiting to be seen. Or even that you can actually watch something else in between Breaking Bad episodes. Here’s an expanding list of current or recently-aired television series from Kate Middleton’s child’s playground that have done amazingly well for themselves and probably would have been cancelled in America because they’re so good. My latest television-binge has been The Fall, a five-part psychological crime thriller which has been renewed for season 2 by the BBC. Detective Stella Gibson (Gillian Anderson) is brought in extra special to help the Belfast police track down a serial killer of young, professional women in the city. We the audience, however, already know the killer. It’s father-of-two Paul Spector (Jamie Dornan), whose work as a grief counselor and dad seem to leave him more than a little emasculated. Instead of focusing the plot on the actual casework, like so many other redundant crime dramas out there, The Fall is much more about the psychology of gender and of Paul’s killing. We follow Paul as he continues to kill, and we see how his personal life, his insecurities, and his brilliance are all brought out in the performance of the crime. Stella, as a detached, self-sufficient, successful, and sometimes provocative woman, is Paul’s foil, and much of the show’s depth lies in the doubling of the two characters. Even in the first two minutes of the show, we see both characters taking off their “masks”– for one it’s her skin cleansing mask, for another it’s his people-killing mask. The show is like a study in gender performance, but it never loses track of its main goal, which is getting into the heads of its amazing characters. Both Dornan and Anderson are chillingly subtle in their performances, which is a nice change from the super charisma or dramatic broodiness of most crime drama leads. It’s available on Netflix Instant. I first got hooked on Rev. a few years ago when it first premiered and it has slowly gained momentum, especially after surprisingly winning Best Sitcom at the British Academy of Television Awards in 2011. It’s about a Anglican priest named Adam Smallbone who is working out of a small parish in one of the dodgiest neighborhoods in East London. He struggles with the church’s rapidly diminishing influence, money, and population, a conniving archbishop, and the parish’s MANY odd characters. And it’s hilarious. The cast, led by Tom Hollander and HBIC Olivia Colman, bring such warmth, humor, and nuance to the show. It’s also got INCREDIBLE heart. Adam Smallbone is an infinitely complex and real character. He’s a flawed, quite tangible, character who struggles with his faith and his moral challenges as much as any of us do. The show never takes religion or faith for granted. It’s something that Adam is constantly working towards and learning through. It makes for some great humor, but also for some great catharsis at the end. Rev. has two seasons up on Hulu, and was renewed for a third to be aired in 2014. UNF. YES. LET’S DO IT. This show left me in a daze for about a week. Brilliantly-acted, beautifully-filmed, suspenseful, emotional, dramatic television series make Sara happy. And yup, David Tennant’s still got it. And he’s swiping Arthur Darvill’s mouth with a q-tip. I mean, that alone!! Now that I’ve calmed down, Broadchurch is about the investigation of the murder of an adolescent boy in a small coastal town where everyone is a suspect. Leading the investigation are Ellie Miller (Olivia Colman), who has just returned from maternity leave, and Alec Hardy (Tennant), who has taken her place and is a total douchebag about it. Theirs is a relationship that has proven ripe for fanfiction. Each episode focuses (more or less) on the possible culpability of a different towns-person, starting with the boy’s father and ending with –HAHA WOOPS I CAN’T SAY . This structure means things can get a bit predictable. I guessed the killer one or two episodes before the finale, which I’m usually pretty terrible at doing. But never mind that because there’s so much raw intensity, so much emotional intrigue, and so many dramatic shots of David Tennant walking through a beach, it’s well worth your while. Broadchurch is hoping to attract Doctor Who fans on BBC America, which aired Spies of Warsaw with the same intention, except I was totally not wasting my time on a long-winded movie in which Tennant doesn’t even have sideburns nor ruffable hair. Broadchurch airs on BBCA on August 7. It’s also been renewed for a second season by ITV. Misfits is the longest-running series of the bunch, already having wrapped up its fourth season and renewed for a fifth and final season. It’s been through a lot of changes since it first aired and now has none of its original cast left. To be honest, I haven’t seen much of season four, so I’m not up to date on the show’s current direction. But seasons 1-3 are definitely some of the most unique, fresh, and smartest series of television you might ever find, particularly when it comes to television comedies. Misfits is about a group of delinquents in community service who get caught in a crazy lightning storm and find out that they’ve got superpowers. As the series continues, they learn that they’re not the only ones with superpowers. Fun plots ensue. There are several brilliant components to this idea. First of all, what happens when you give superpowers to juvenile delinquents who are facing all the anxieties, pressures, and pleasures of being young adults? This particular group has extremely diverse personalities and goals, ranging from the once-promising athlete Curtis (Nathan Stewart-Jarrett) to the loud and terribly obnoxious Nathan (Robert Sheehan) who doesn’t seem to envision much of a future for himself at all. Another brilliant component of this idea is that the characters’ superpowers are all reflective of their insecurities and fears. The boy with no friends gets to be invisible. The girl who fears what other people think of her gets to read minds. This is how you get characters to have a personal stake in what’s happening to them. Misfits at its best is hilarious, unpredictable, and pretty flipping addicting. You can watch it on Hulu. Of this bunch, Luther has probably made the most successful jump to America. Its star, Idris Elba, has won a Golden Globe for the role and might get his Oscar nod for the upcoming Nelson Mandela biopic. Also, my classmate referred to him once as ‘Chocolate Thunder,’ which I think is as important to mention as the awards stuff. 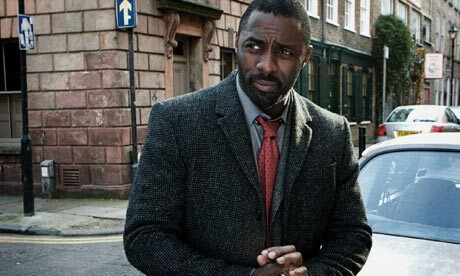 Luther is another detective show with great actors, great writing, and all that good stuff. But what really stands out to me is how wonderfully complex its plots are. Now, I’m not talking about Steven Moffat-complex. (Now that I wrote that, there should be something called a Steven Moffat complex). Nah, Luther-complex means that the crimes have roots in some tremendous issues, some of them societal, others more personal. Each episode feels rather weighty (in a good way) with all the exploration that can be done. Luther himself is also a great character to follow, particularly when it comes to his marital issues in season 1. Luther’s third season just premiered in the UK and hopefully it will be up on BBCA and/or Netflix Instant where you can find its other two seasons.